Small Intestinal Bacterial Overgrowth (or SIBO) is one of those hot topics in the alternative medical community that is often misunderstood, so I thought I would take some time to explain the scientific community’s current understanding about this gastrointestinal disorder. Our gut microbiota performs many different essential functions that help us to stay healthy. These include vitamin production, detoxification, regulation of cholesterol metabolism, providing resistance to pathogens, immune regulation, neurotransmitter regulation, regulation of gene expression, and more! Bacteria actually live in our entire digestive tract, from our mouth to our colon—not just in the large intestine, as you may have thought. The number of bacteria does, however, vary significantly, generally increasing progressively down the gastrointestinal tract. For example, there are only between ten and a thousand bacteria per gram of material (the stuff you are digesting) in the stomach and the duodenum (the first part of the small intestine). The second and third segments of the small intestine (the jejunum and the ileum, respectively) contain between ten thousand and ten million bacteria per gram of material. The colon contains between a hundred billion and a trillion (!) bacteria per gram of material. Gut dysbiosis is a general term that refers to any abnormality in our gut microbiota. This includes too many or too few microorganisms growing in the various sections of the gastrointestinal tract, the wrong kinds of microorganisms or the wrong balance between the different populations of microorganisms, and microorganisms in the wrong place. Any of these situations can have profound impacts on our digestion and the modulation of our immune systems. The most common form of gut dysbiosis is overgrowth of bacteria or yeast in the small intestine. This is referred to as small intestinal bacterial overgrowth, or SIBO. (This term does apply to yeast overgrowth, but bacterial overgrowths are actually far more common.) Now believed to be the cause of irritable bowel syndrome (or at least some forms of IBS, which is probably a collection of disorders that have yet to be sorted out), there is also a high prevalence of SIBO in every autoimmune disease in which the presence of SIBO has been evaluated. Very importantly, overgrowth of bacteria in the small intestine can be a direct cause of a leaky gut. If someone has SIBO, a combination of these symptoms will be present, regular, and persistent for three months or longer (and because of these symptoms, in the conventional world, SIBO is often mistaken for IBS). If we experience one or more of these symptoms every once in a while, we are likely not experiencing SIBO. …and an incredibly long list of more conditions!! There is an exhaustive list here. There are many proposed mechanisms for this relationship, including gastrointestinal permeability (or “leaky gut,” see What Is Leaky Gut?) and subsequent nutrient malabsorption. We know that nutrient absorption is hugely affected, because the small intestine is the site of this process! Depending on the type(s) of bacteria that are overgrown, the consequences vary. For example, the overgrown bacteria may preferentially consume iron and vitamin B12, causing anemia, or they could decrease fat absorption by de-conjugating bile leading to deficiencies of vitamins A & D and causing steatorrhea (fatty stools). If any of these applies to you, you don’t need to fret! None of the above is a guarantee that we will develop SIBO, and appropriate management with an anti-inflammatory, nutrient-dense diet that is especially rich in fibrous vegetables is one of the best ways to prevent this condition! Since SIBO was only described in the late 1990s, the system for testing and diagnosis is still being refined. However, more reliable tests have been developed in the past few years that are worth describing here. Amongst SIBO experts, the most commonly used test is called the hydrogen breath test. This test is designed around the concept that the overgrown bacteria emit one of two kinds of gas (hydrogen or methane), which is absorbed into the blood stream and then excrete through the lungs. To prepare for the test, patients are asked to follow a strict diet for a day beforehand, then they must do an overnight fast. Immediately before the test, the patients will consume a drink that is very rich in sugars that the potential bacteria would consume for fuel, causing an increase in growth/metabolism (and thus an increase in the amount of gas produced). Then, the patients collect many breath samples over the course of three hours. When the results are returned from the lab, someone with SIBO may have an excess amount of hydrogen gas, methane gas, or a combination of both; these results help medical practitioners determine the appropriate course of treatment (since hyrdoren-producing microorganisms respond differently to different treatment options than methane producers). At this point, however, there is no universal standard for the diagnostic criteria for SIBO; for this reason, it’s important to work with a well-qualified practitioner who specializes in gastrointestinal concerns if you are concerned about digestive health. Likewise, it’s important to note that SIBO cannot be diagnosed based on symptoms alone. SIBO is treating using a variety of methods, usually in combination. First and foremost, the amount of bacteria in the small intestine needs to be reduced. This can be done using a specific type and dose of antibiotics or with an extensive herbal protocol; which type of treatment is appropriate is determined by a physician and is based on severity of the SIBO, type of overgrowth, and patient preference. Note that some types of bacteria respond better to antibiotics, like rifaximin, while others respond better to herbal protocols, like monolaurin. This is why working with a practitioner who is familiar with all of the options is so important. In addition to the pharmaceutical and/or herbal treatment, people with SIBO are often prescribed one of a few very specific diets. In recent years, a combination of the Specific Carbohydrate Diet (SCD) and Low FODMAP Diet are most commonly used, but the GAPS (Gut and Psychology Syndrome) diet(see Gut and Psychology Syndrome) has also been used in the past. The goal of following this combination, which emphasizes low fiber and abstaining from starches, is to starve the bacteria in the small intestine and heal the damaged gut lining. The general approach to these diets, which are very easy to assimilate to a Paleo lifestyle, is to eliminate any dietary sugars that are not monosaccharides. Monosaccharides are simple sugars like glucose and fructose and are the most easily-absorbed in the digestive tract. More complex sugar molecules like sucrose (i.e., table sugar, which is a disaccharide or two-molecule sugar) and starches have to be broken down into monosaccharides before they can be absorbed. This means that the sugar takes longer to be digested, which means it travels farther down the digestive tract before being completely absorbed, so some of it reaches the abnormal bacteria growing in the small intestine and provides a food source for them. The following table summarizes the GAPS/SCD approach to selecting vegetables and fruit. * indicates foods that are also high FODMAP and would be additionally eliminated if following a combined approach. These diets also focus on consuming healing foods such as bone broth, conjugated linoleic acid found in the fats from grass-fed animals, and coconut oil. Many people may find taking Apple Cider Vinegar before meals (see The Stomach Acid Connection) is helpful. However, it’s important to emphasize that these dietary strategies are for symptom management only and they have stark limitations when it comes to supporting long-term gut health. The current consensus with the SIBO expert community is that antimicrobial treatment is necessary to reverse SIBO. In fact, many people struggle with the symptoms of SIBO until going through multiple rounds of a treatment protocol that uses antibiotics and/or a combination of herbs. The problem with following Low FODMAP, SCD and/or GAPS, even in conjunction with a nutrient-dense Paleo diet, is that these approaches do not provide sufficient fermentable fibers to support a healthy community of the right types of bacteria. And, probiotic bacteria themselves suppress the growth of pathogenic bacteria, so eating foods that feed the good guys is one of the absolute best strategies for keeping the growth of the bad guys at bay. Another limitation of these symptom-management diets is that they are limited in terms of vital nutrients. As discussed in The Importance of Nutrient Density and The Amazing World of Plant Phytochemicals: Why a diet rich in veggies is so important!, vegetables form the foundation of a health-promoting diet. In fact, the two diet factors with the greatest corrective influence on the gut microbiota is high insoluble fiber intake from leafy greens (see The Fiber Manifesto Part 1 of 5: What Is Fiber and Why Is it Good?, The Fiber Manifesto Part 2 of 5: The Many Types of Fiber, The Fiber Manifesto&#8211;Part 3 of 5: Soluble vs. Insoluble Fiber, and The Fiber Manifesto&#8211;Part 5 of 5: Busting the Abrasive Insoluble Fiber Myth) and high omega-3 intake (see Which Fats Should You Eat? and The Importance of Fish in Our Diets). Additionally, incorporating fermented foods can be extremely helpful (see The Health Benefits of Fermented Foods). I also want to mention that stress management is very important for supporting gut health (see my post How Mood and Gut Health Are Linked), so incorporating some self-care routines like meditation, mindfulness, and moderate exercise could help with the success of treatment. Correcting SIBO can take up to 2 years, and some people continue to have digestive concerns for many years after treatment. For this reason, researchers are still investigating the details of SIBO and how we can more effectively eliminate it. The take-home: if suspect or know that you have SIBO, self-treatment is not a good option. Instead, seek out a qualified healthcare provider to provide a detailed diagnosis and plan of action catered to your specific situation. Bures J. et al. Small intestinal bacterial overgrowth syndrome. World J Gastroenterol. 2010 June 28; 16(24): 2978–2990. Perman JA, Modler S, Barr RG, Rosenthal P. Fasting breath hydrogen concentration: normal values and clinical application. Gastroenterology. 1984;87(6):1358-63. Pimentel M. An evidence-based treatment algorithm for IBS based on a bacterial/SIBO hypothesis: Part 2. Am J Gastroenterol. 2010;105(6):1227-30. Rezaie A, Pimentel M, Rao SS. How to Test and Treat Small Intestinal Bacterial Overgrowth: an Evidence-Based Approach. Curr Gastroenterol Rep. 2016;18(2):8. You May Have an Autoimmune Disease But Don’t Know It! I see that you list fibromyalgia as an autoimmune disorder, but everything I see on the web says that it isn’t. Is there a reason you consider it to be? 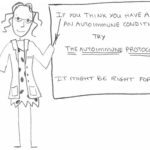 There are theories that Fibro is autoimmune but nothing decisive yet. For me it appeared at the same time as gluten intolerance which is also thought to be autoimmune so I can’t help wondering if there’s something to it. Hey Sarah, great article, I am fairly sure my wife still has SIBO despite us following a fairly strict Paleo diet so a few more tweaks and a few less ‘safe’ starches. It’s certainly my opinion that when looking to heal, Paleo is not enough and whether it is the autoimmune protocol or some other additions then the diet has to be tailored to the specific requirements of the individual. has recently developed a lot of the symptoms of SIBO. Thanks as always for the outstanding work! Yes, SIBO can appear when nothing else seems to change. Very small changes in sleep quality, stress, and diet can tip the balance one way or the other. Something as simple as a course of antibiotics can tip the balance too. According to my research for this article, chances of having SIBO just plain old increase with age too. I seem to remember reading the statistic that 50% of people living in extended care facilities have SIBO. I think I am in loooove. Where have you been these past three years! I’ve googled and read, dieted and supplemented, interviewed and harassed all sorts of doctors, and have came up with the much of the same information. I found that once I was able to ‘heald’ enough *that’s what I called it to eat veggies, a Paleo diet was PERFECT for me. Now, I’m not as strict with it, but have no pain any more-but other than treats, am Paleo. What antibiotic did you take? Thanks so much for this. What antibiotic did you take? Wow Wow Wow Wow! I can’t seem to say wow enough!! This is insane! I have been searching and searching for a way to heal from what dr’s say is IBS. I tested negative for Celiac but no answers other than “watch what you eat” with no real answers! The dr’s couldn’t tell me what to eat or any diet suggestions at all. I have started a probiotic regimen and that has definitely helped me, but I am trying to discover what else I can do. No dr has ever mentioned SIBO but after reading this, it definitely seems to be the most pertinent answer. I definitely intend to do more research. I stumbled upon your site through a pin on pinterest, as my boyfriend and I are beginning Paleo as he is starting his Crossfit journey. I can’t wait to read more and learn more. This is so exciting to hear that there may be true relief for this paralyzing condition that I seem to suffer from. I also fully believe Paleo is going to help me as well because as a sufferer of Ehler’s Danslos Syndrome, there are already a lot of barriers but diet is what I fully believe will help. Thank you so much for this site and your information. Thank you thank you! The medical literature shows that at least half of all cases of IBS are actually SIBO. I think Paleo will also be very helpful with Ehler’s Danslos Syndrome. 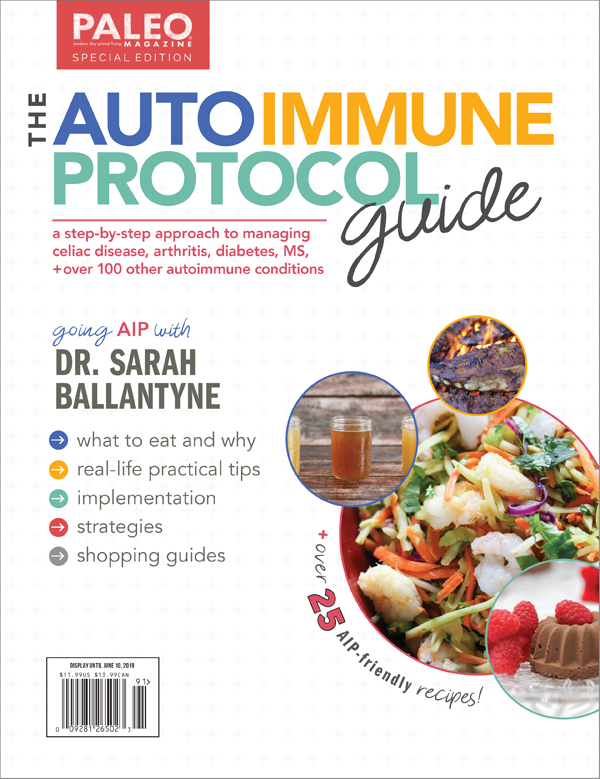 Even though it isn’t an autoimmune disease, it is caused by a dysfunctional immune system, so if you don’t see dramatic improvement in a few months, consider tackling the autoimmune protocol. Good luck and keep me posted on how you’re doing! this is a really good article. AI Paleo is pretty similar to the GAPS intro. I have candida/sibo, they showed up in an organic acids test. I was just wondering how you know your case of sibo is mild? From testing or just symptom-wise? I wish I could do coconut oil, but can’t at the moment because of salicylate sensitivity. Just symptoms. Could have been severe given all the health issues I had. I guess I just like to think of it as mild. lol! How long did it take for your symptoms to subside? I’ve got a pretty severe case of bacteria/yeast in my upper GI. If you don’t mind me asking what AI do you have? I was convinced, from all the toxins in my body from the reactions I have, that I’d developed an AI. All tests show otherwise, but I’m worried that the longer it goes on (it’s been years), that it’ll do irreparable damage. There are no definitive tests for AI disease, and for some AI diseases, there are no tests at all. Many AI diseases have to be very advanced before they can be diagnosed, so if you feel like you have one, I would listen to your instincts. I would say it took about 2-3 weeks for the bloating to go away and for me to feel comfortable and symptom free. But, I still get bloated and constipated quickly if I eat something with inulin fiber in it (like sweet potatoes) or overdo to starchy vegetables so I haven’t fully healed yet and am basically still going with my diet modificaitons. Thanks. How long have you been doing your protocol? A few weeks is speedy for any healing, well done! Did you do the GAPS intro? I’m about to try it because my stomach & intestines are in a dire state. I react to & can’t digest anything at all – meat, fat, veg. What’s your opinion on stool testing? I had one that showed NG for e coli, which I know is bad, I take Mutaflor now but it hasn’t taken hold yet or there’s just too much bad bacteria, keeping it from flourishing. Were you diagnosed with an AI or again just go with your symptoms? They do say trust your guts..! I was diagnosed with an autoimmune disease (lichen planus). While my gut symptoms improved quickly, my disease has been a slower process. I’ve been playing with this protocol and figuring out exactly what I need to do for about 15 months. It took me about 10 months to really come to terms with some foods that I have to cut out, so really I’ve only been super strict the last 7 months or so. I’ve seen the most dramatic improvement in the last 3 months… I never did GAPS intro. (it won’t let me reply to the last comment) I’m glad you’re healing on it, that’s really great. It’s crazy how some people will never have gut issues, or ever hear of/need kefir etc! Do you rely on foods for probiotics? I know bifid’s are bad for SIBO but lactic ones make me feel stiff so it’s hard to know what to put in there, and I do need them! I actually met Dr Natasha Cambell McBride (lady who invented GAPS) at a seminar briefly the other weekend, she came to Ireland. She told me to stay on just stage 1 and 2 of the intro for 6 months because my gut is so bad and my weight is so low, and to have no plant fibre. I think I’ll need some veg to store the fat though? I have some ige allergies, but eggs (yolk, and white, and duck egg which I’ve never eaten..) were really high on an igg test. But I was having them everyday before I knew of leaky gut etc! Seems like yolks are really nutrient dense though, I hope I can have them again. Have you ever tried soil based organism probiotics? Apparently they’re good for clearing out bad bacteria, if taken for a month twice a year, they maintain the good balance. I’m doing another stool test with my doctor next week then trying them, fingers crossed they help even a little. I also want to be able to try all of your plantain recipes! I take PrescriptAssist soil based probiotic and really like it. Even with all the stress I’m under and not getting enough sleep, I’m still seeing improvement in my autoimmune disease and I think I have fermented cod liver oil and PrescriptAssist to thank for that. I do eat fermented foods too. I also just came across this post by chris kresser http://chriskresser.com/treating-sibo-cold-thermogenisis-and-when-to-take-probiotics#comment-43294 (yours and his are by far the best sites about this stuff! ), and how d-lactate can be a real issue with SIBO (also CFS and ME), which could explain my stiffness symptoms with lactobacillus strains? Most diets though, like GAPS and SCD are heavily reliant on sauerkraut/yogurt etc, but this seems to recommend the opposite. I prefer to get what my body needs from foods, but if this is a problem it seems like sauerkraut/fermented foods are out of the question? Or at least until SIBO is under control? I’d like to be able to have them some day, for maintenance and they’re a lot cheaper than buying probiotics! So, my reading on D-lactic acid is that symptoms of excessive production are things like brain fog, trouble concentrating, tripping over words, lack of coordination and balance. It’s really only been described in people with short bowel syndrome, with one study in chronic fatigue syndrome showing overgrowths of gram-positive bacterial strains that produce D-lactic acid and the authors speculate that that could contribute to the symptoms. So, yes it’s possible, but there really isn’t a lot of science to back it up at the moment. The other, what I think is more likely, possibility is a food sensitivity to yeast, since there is yeast in all fermented foods. Either way, the answer is yes, you should be able to eventually reintroduce fermented foods for maintenance one day. As I already mentioned, I do really like Prescript-Assist and have been taking it since last summer. Oh, wow. Those are a lot of symptoms I’ve been having. I’ve been spending a lot on probiotics to feel worse I guess..I feel that way on just acidophillus even, so I don’t think it’s the yeast, I take s.boullardi sometimes too which I’m ok on. I do get some swelling in my legs when I take the probiotics too but I’d just been ignoring it, which can be an issue with small bowel…But I’ve had an MRI, gastroscopy, barium swallow with follow-through tests, I presume someone would have picked up on that by now if I had it? I know from a colonscopy result that I have a long colon! Ok, so, I’ll get on the PA and Mutaflor for now, which will hopefully help. Do you take 1 or 2 PA a week now for maintenance? When I get my stool test back it might shed some light on what bugs are in there..But I really hope the SBO’s will help. Thanks, I really appreciate your help. Overgrowth is not necessarily the easiest thing to diagnose (and not on a lot of physician’s radars). The tests you had done also wouldn’t show whether or not you have it (the test is an aspirate, so stick a tube down your throat and get a sample from your upper small intestine). I was taking PrescriptAssist every 5 days, but I’m back up to every day with the stress of the book. Thanks. Funnily enough, I destress by listening to the Circus Remix of I Like To Move It from the movie Madagascar 3. It always makes me feel better. LOL! Have you had a bowel resection? Ha, I must try that sometime! I haven’t, the only surgery I’ve ever had is appendix removal (which is apparently your reservoir of good bacteria..). Besides the long colon I’ve never been told anything about the any results except that they’re fine, though my gastroscopy did show mild chronic gastritis and bile reflux, presumably because of the SIBO. Prescript-Assist is kind of my last hope, since I can’t do the other probiotics, and things are so bad, symptom and weight wise. I don’t want to put all of my eggs in one basket but I’ve run out of other options. My blood tests all show really high levels of b12, folate and iron etc, my nutrients are just all unavailable. I do have some heavy metals too, again, because of the lack of good bacteria..
Hey, I added prescript-assist the other day, but when I take it I feel like it just goes down as far as my small intestine, is there any chance it could contribute to SIBO the way some probiotics do? I read in the GAPS book that they’re transient strains, but someone else says they’re colonising. Just wondering if you know which is true? Most scientific studies show that probiotics don’t substantially change your gut microflora and the bigger effect is diet. Probiotis work more by interacting with the immune system on their way through. But, if you don’t feel it’s working for you,then it’s worth stopping for a few weeks and see how you do. You can always start again later. Okay, thanks. I know you do recommend starting slow with probiotics to avoid aggravating the situation and doing the diet for a bit first. I just started taking 2caps a day right away. What antibiotics do you recommend when they’re absolutely necessary? There are a lot of options and this is probably something better to discuss with your doctor. Rifaximin is the best studied, but it’s also often used in cocktails with others. Thanks so much. I do have oral/systemic candida and roundworms too so not sure where to start with them, I might give thd rifixamin a try. I’ve avoided antibiotics for do long. My doc also wants me to try an elemental tube feed because its gotten so bad. I think there’s definitely a time and place for antibiotics and other conventional medicine treatments… sounds like you’re there. Good luck! Desperate times. When you say a cocktail do you mean sometimes they’ll give rifixamin and something like diflucan for candida too? Did you take antibiotics? I’m trying to see it as something I have to go through like chemo, then total nutritonal balancing, detox and broths/probiotics after. Do you take probiotics at the same time as the antibiotic (but later in the day) or wait til the course is over? I also thought the usual dose for rifixamin was over 10 days but my doc said it’s three a day for 5 days? Think I’d prefer the ten! But yes should I wait til the course is over to start the probiotics? Thanks so so much for your help. Will be using your healing/ AIP/ weight gain methods after if they work fingers crossed! I have chronic constipation by the way do do you think neomycin would be better than rifixamin? Definitely let me know whether you think it’s best to wait til after the antibiotic to start taking probiotics or to take them during it as well? Thank you for your wonderfully written, meticulously researched posts. They offer a great deal of support and wisdom to those of us who are wading through the challenges of healing our guts. I hope you can answer a question that I have been grappling with. Due to severe SIBO, and a cascade of other problems that resulted from compromised digestive health (thyroid and adrenal issues + nutrient deficiencies), I abandoned several years of veganism and switched instead to a strict Paleo diet. I have been following this strict protocol for about 15 months. At this point, I avoid gluten, dairy, soy, grains, legumes/beans, eggs, corn, nightshades, nuts, vinegar (apart from ACV), caffeine, alcohol, nuts, sugar, fruits, and starchy vegetables. I take digestive enzymes and other gut-healing remedies, and have started to consume bone broth. I took two courses of Rifaximin. The bacteria seem to like my intestines, since they’re still resolutely camped out, and if I take an antibacterial like berberine, or if I eat something amiss, my belly can bloat out to extraordinary proportions, leaving me to look six months pregnant. I have seen–and continue to see–a number of doctors. My question is this: I long to increase my physical activity. I suspect that regular exercise will go a long way in boosting my health. But I don’t know how to do this if my body cannot tolerate carbohydrates outside of non-starchy vegetables. (Fruits and starchy vegetables like butternut squash and sweet potatoes have left me bloated and tired.) Right now I am incorporating gentle yoga into my day. But I would love to do something more intense–go running, play soccer, do more challenging yoga or Pilates sequences. I don’t want to be sedentary; I want to be active. How do I refuel on my restricted diet? How do I avoid the danger of glycogen depletion? Last summer, already on the SIBO-modified Paleo diet, I began to visit the gym, and I felt more revitalized, but I developed insomnia and dark undereye circles and stopped my activity. Now I’m concerned about muscle cramps. Do you have any suggestions for me? P.S. I am 23 years old. P.P.S. I am Catholic and try to attend daily Mass. For the last two years, I have been receiving Communion multiple times a week. My faith is the most important thing to me; it is my source of joy and strength, and I depend on the Eucharist for sustenance. I have been lately wondering, though, why my gut has not healed after 1 1/4 years on a very restricted, very clean diet. I worry that the gluten in the Communion Host might be complicating the healing process. The thought of abstaining from sacramental Communion makes me very sad, but I also long to return to physical health. Do you think my daily reception of Communion might be a factor in my continued digestive illness? There are gluten-free Communion wafers. These still aren’t ideal since they have potato flour, but vastly preferable to eating gluten. Have you asked for them? Here’s a link if that helps: http://www.celebratecommunion.com/gluten-free-communion-wafers-130.html?gclid=CNGq9rb1_7UCFQbonAodLTgA1g I don’t think you should have to give up Communion, especially if you feel that it gives you strength and joy–that is so important for healing. Yes, that daily dose of gluten is almost certainly completely undermining your other efforts and I would be very surprised if you didn’t notice a remarkable difference by taking Communion with the allergy-free wafers. As for exercise, I think you did the exact right thing pulling back when you stopped sleeping. I would recommend building up the intensity and duration very slowly, maybe add some walking to your day or swimming or slowly building up your level of intensity in your yoga classes. Exercise can be a very powerful hormone regulator but if its too intense (typically aerobic exercises like running would be considered intense) or too long in duration, that causes a spike in cortisol that causes more problems than the exercise helps. I would also recommend some short-chain fats like coconut oil to help with energy stores during exercise, and make sure you’re hydrated and sleeping tons. Also, muscle cramps might be a sign of low magnesium, so it would be good to look into a supplement. Other things that can help your gut bacteria get back to normal more quickly is eating lots of fish and shellfish (for the omega-3s) and making sure you’re getting some leafy greens in if they don’t upset your digestion too much. SIBO is just one form of gut dysbiosis. What you describe of having low good bacteria is another form and could definitely be contributing to your symptoms. With Hashi’s I would definitely recommend AIP, working around your food intolerances and still making sure you’re getting plenty of veggies (I typically suggest avoiding sweet potatoes, jerusalem artechoke and suggest keeping whole coconut products like coconut butter or flakes to a minimum, then keeping the quantity of other starchy vegetables on the low side with much more of a focus on non starchy vegetables). Jenn, I’m in the same boat as you, a scary amount. Only my weight is much lower, keep it on if you can! it’s really hard and really lonely, but hopefully things will even start to look up for both of us soon. Hey Sarah, I was listening to your interview on the Balanced Bites podcast about a month ago (I’m so behind on them, but i’m getting caught up), and you talked about SIBO. I have had IBS-C symptoms for over 10 years with doctors only giving me stool softeners to help me. I didn’t take them b/c I was convinced they were treating the symptom not the problem. All the while, after a colonoscopy, my doctors still told me nothing was wrong with me. After listening to you talk about SIBO, I decided to make another appointment with my PCP and get a referral to a GI doc. My PCP treated me like I was an idiot (this is why I hate most military doctors who are not used to educated spouses) dismissing my stacks of scientific journals about SIBO that I brought in, but still referred me anyway to a GI doc. I finally saw my GI doc about 2 weeks ago, suggested that I might have SIBO (she hadn’t even of thought of that as being an issue, but still agreed to test me to appease me), took a breath test a week ago where my methane levels jumped from 20 ppm to 110ppm only after 20 minutes of taking the glucose. I know that this is only one piece of the puzzle as Dr. Pimentel points out in his book “A New IBS Solution” BUT at least this is a step in the right direction of getting my digestive system to work properly. I just wanted to thank you for being one of the catalysts to getting this solved. This condition has taken over my life, and I’m hoping to be able to move forward!! What is everyone’s thoughts on coconut butter and if its ok for someone with SIBO to eat or is it too high in fiber to be uncomfortable for most individuals with SIBO? How long do you recommend following the low carb Paleo diet? I was diagnosed with SIBO in September and followed a no carb diet for 6 weeks. Then I switched to the Paleo AI and now have about 1 to 2 fruits a day (usually apple or pear) and also have sweet potatoes in my diet in addition to plenty of greens. I no longer have symptoms and am now just working on healing my leaky gut. Thanks! Actually, I would say 2-3 weeks, so I think you’re doing great! I have been taking Prescript-Assist myself for almost a year and really like it. Lactic acid producing bacteria can be a problem for some people, but not everyone with SIBO. Also, you just can’t beat the diversity in raw fermented vegetables, especially homemade since you’ll have probiotics in every batch. Upping your omega-3 intake can be very helpful and also making sure to eat plenty of fruits and vegetables but maybe also taking plant enzymes as digestive enzymes to help break down the fiber. Thanks so much for your reply …… I just recently heard about Prescript-Assist, but have not tried it yet. Currently I am on Align (day 11) and I have to say I don’t feel better at all. In fact, I feel more bloated and some white coating on the tong that was not there before… How can I find out if the bacteria in Align is Lactic acid producing or not? If it’s lactobacillus based (which I believe it is), then those are lactic acid producing. Most probiotic supplements contain some lactobacilli strains (prescript-assist does not). Hi again, Hope you had a nice 4th. May I ask how many capsules of Prescript-assist do you take now and how many did you take when you first started? Thanks so much. I gave Prescript to my sister and mom plus I take it too but lately, I read where this type of prebiotic from soil can create a pathinogenic problem in your gut if you do not have enough “good bacteria” to balance. What do you think? The concern was over strains that used to be used in another brand. Those strains have been taken out of most (of not all) SBO probiotics now and were never in prescript-assist. I get mild to severe pains in my stomach after eating fruits. Would that be caused from SIBO? It could be, or FODMAP intolerance, or the combination. Or it could be another food sensitivity. Does it happen with all fruit? Bananas, Strawberries, Nectarines for sure. I do okay with grapes and apples. Watermelon is okay if I eat a little, if I eat a lot I hurt. I used to drink smoothies every morning for breakfast and then I started getting this pain every morning. I went to the doctor, they did blood tests and an ultrasound and didn’t see anything. So I stopped eating fruit and the pain went away. Since then I’ve experimented with a few. Thanks for the info. I keep searching for an easy answer. I have celiac disease, adrenal fatigue, Hashimoto’s Disease and still have symptoms. I struggle to commit to a diet as each article I read suggests something different. Ive been to several nutritionist who also provide conflicting advice. This is so frustrating! Thank you for the information. I was searching for info for my 4 year old, she frequently gets a skin infections since she was 1 (oddly enough when she had started drinking cow’s milk). The doctor’s would just prescribe us an anti-biotic type cream and tell us to wash her with antibiotic wash. That worked the first time but then it made it worse. We stopped feeding her milk a year ago because she complained of stomach pains and realized she was lactose intolerant. The rash still comes back and I now feed her kefir from time to time (we now eat Paleo too) and that helps it from growing but hasn’t gone all the way. She always complained that it hurt when she pees but the UTI tests were always negative. At this point I’m not sure where to go or what to do. The doctor’s refuse any further testing claiming it’s just that she picks up infections from playing outside (sounds crazy to me). I will ask about SIBO but doubt that they will pursue it. Are there any protocols you suggest or tests I should request we try for her? Thank you! Oh, how awful! So, I think you’re on the right track with Paleo (no matter what is going on). You could ask for a SIBO breath test and/or a Fructose Malabsorption breath test. In the case of SIBO, if it was positive, the doctors would recommend non-absorbable antibiotics (after the course, you would focus on probiotic foods, and lots of fruits and veggies to help restore normal gut flora levels). In the case of fructose malabsorption, you would adopt a low FODMAP diet. But, I’m not sure that’s necessarily the right way to go. With fructose malabsorption, you would typically see GI symptoms (abdominal pain, constipation, diarrhea, gas, flatulence…). You may or may not see that with SIBO, but if it was severe enough for antibiotics, typically you would. I’m just not sure what could be causing the pain when she pees. Have you seen a paediatric urologist yet? And the skin rashes may or may not be linked to the urination pain, so I think you need to pursue both of these. I have more ideas on things to try for the rashes. Topically, I would suggest trying probiotic soaps and moisturizers (Chrysal is a good brand and works really well even though their soaps have SLS in them–they even have a bubble bath–and their home cleaning products are fantastic too, although not cheap). The best moisturizer would be grass-fed tallow (you can mix it with half tallow and half olive oil and its not the greatest smelling, but I don’t think there’s anything better for restoring skin barrier function… Also check out Vintage Traditions which makes one with essential oils that does smell nice). The vitamins in the tallow and antioxidants in the olive oil are just amazing for the skin. Internally, high omega-3 intake (from seafood and pasture-raised meat), lots of fruits and veggies are very helpful for restoring normal gut flora, as are organ meat (again, the vitamins are critical for healing). Probiotic foods would be awesome if you can get her to eat them, otherwise, talking to your doctor about a brand of probiotic supplement is a great idea. And I know its tough with a kid, but sleep and stress management (which basically for a kid means having fun and laughing lots) are really important too. Other possible things to look at here are chemical exposures or sensitivities to things like laundry detergents. Sun exposure is helpful for most skin conditions. And lastly, if you feel like you just aren’t getting anywhere with your doctor, you might want to see if you can find a functional medicine specialist. Thank you so much for all your research and articles!! I have read many of them(!) this weekend alone and am truly happy to finally put some pieces together. I am still a little confused about where to start. My daughter (7) and I both have dealt with digestion issues for some time. Mine got dramatically better after going gluten and dairy free, but we haven’t noticed much difference for her. (We both were tested and found some genes that make celiac but not the disease). We’ve tried to do some more digging but our general gut health labs came back pretty clean, especially hers: no inflammation, pretty balanced microflora, no parasites, etc. The Dr suggested elimination diet or food sensitivity testing. It’s hard to think she’s even allergic to any foods, as she never has any telling reactions, other than general gut pain. 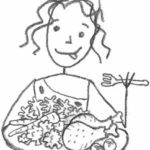 I myself have been diagnosed with SIBO, but we didn’t check her yet, nor check for FODMAP sensitivities. She’s also having major tooth issues, so I connect this ALL to gut health, malabsorption, and leaky gut issues. Other than the SIBO for me, I feel like there are a lot of questions still about what could be causing the gut issues for both of us. All of your information on SIBO, FODMAPs, leaky gut, Autoimmunity, etc has all been great; but how do you know which one to try first? Especially when you don’t know which one(s) is the culprit? Thanks so much. I really appreciate finding you and your website; so much great, real information. I’m going to be writing a post soon pulling back on my support for GAPS and SCD style diets due to a lack of studies validating them. But, low FODMAP is very well studied and would be an excellent place to start. The ideas behind the autoimmune protocol are also good to keep in mind, especially the focus on nutrient density. You could actually treat the AIP as your elimination diet), especially since gut issues can be linked to foods sensitivities. I would definitely at least limit nuts and seeds, if not omit them altogether. And I would suggest talking to the doctor about digestive support supplements for both of you (I don’t know what would be appropriate for kids, so please please please check with your doctor on this one first). Most importantly, I would suggest a focus on nutrient dense foods, especially making sure to get those fat soluble vitamins (seafood, pasture-raised animal fats) and bone broth or other glycine rich foods. I have multiple food allergies and I really had no specific symptoms just headaches. And because of that it took 30 yrs to get sent to the allergist. Hello, Thanks for your post. I have been diagnosed with IBS, because the doctors have done many test and could not find much of an issue…although in the past I had on the verge of a peptic ulcer and I was told I had hiatus hernia from one gastroenterologist, although recent cat scans state I don’t have hiatus hernia…so I am not sure which one is correct! Anyway, I just want to say I have had always had IBS issues and I went to a gastro and a dietitian to try and get my symptoms under control. I was put on the FODMAP diet, but then within that time I got sicker and sicker, then the dietician put me on an even stricter diet, because she thought it might be chemical related within certain foods, as the FODMAP diet was still making me ill. I continued to get worse! Ten times worse than before I went to the specialists. Something didn’t add up! I was getting flu like symptoms, dizziness, puffy face, nausea all day every day, bone aches around my ribs, very tired, hair loss, getting diarrhea, becoming more and more sensitive to any foods. And so I was like this can’t possibly be the foods I am eating, this is insane! I am not eating anything! And then I looked out to other factors which I hadn’t thought of and so I said what else do I take that is not food. I take panadol, vitamin D supplements and probiotics…and then it hit me, I almost instantly knew the culprit and it was the probiotics. I knew almost instantly that the probiotics was the issue a) because it was introduced when I started these diets b) I had issues with it a few years before, just much milder symptoms (only diarrhea from my recollection). So I just don’t understand why probiotics would do that to me? I understand my stomach was not well to begin with, but the probiotics was slowly killing me. Everyone touts probiotics as this amazing beneficial prodcut but I am very skeptical now, based on what I have been through. Oh and two weeks after going off the probiotics all those nasty symptoms went away (I was sick for about 3 months in total). I am not saying I am cured, I still have major IBS issues, but the probiotics just made things 10 times worse. Very interesting! Definitely not all probiotics are considered equal and since you can have overgrowth of what are normally considered beneficial strains, there are definitely situations where a probiotic supplement can make things worse. I’m curious to know which one you were on. It’s one of the biggest probiotics brands in Australia called Inner Health Plus http://innerhealth.com.au/. It needs to be refrigerated. On top of that their packaging and website, does state anywhere that probiotics can have bad side effects for some people. In fact it doesn’t give any warnings at all! Basically, they’re saying that people with SIBO might benefit from eating resistant starch. It’s a good read too with a lot of compelling evidence. I haven’t been able to successfully re-introduce FODMAPs or any starch in the past 10 months and I’m concerned about not getting any prebiotics, but whenever I do try adding any my skin breaks out a few days later and my anxiety gets a lot worse. I’m not sure what to do. What do you think about the resistant starch / SIBO thing? Have you read the new posts about insoluble fiber? Resistant starch is classified as an insoluble fiber but is highly fermenatable. There really isn’t much research to go on in terms of autoimmune disease or SIBO or IBS, but there’s some compelling anecdotal reports. I would definitely go the green plantain route and make dehydrator plantain chips (FreeTheAnimal.com has written about this quite a bit lately) if you’re going to try it (and not do the potato starch thing). Okay thank you, yeah I’ve read and I’m loving the new fiber posts!! Last time I had any starch (I had butternut squash) I felt pretty horrible the whole next week, do you think that will still happen with the dehydrator plantain chips? Should I start with just a tiny amount and work my way up? Thanks a lot Sarah. 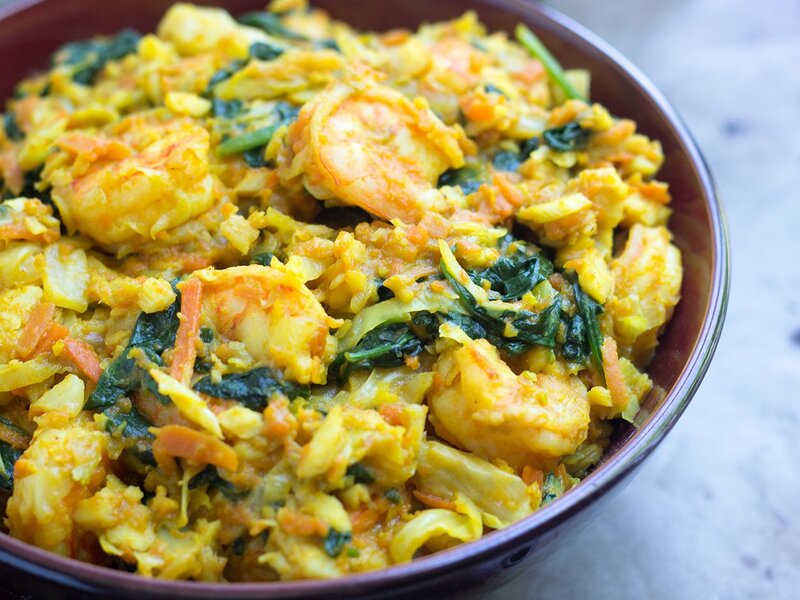 Also if I’m on AIP but unable to successfully re-introduce starch from things like squash or sweet potatoes, would it be possible that I would do okay with white rice? I’ve been on AIP now for 9 months, would it be a bad idea to try rice? It’s possible. I would try VERY carefully and stick with white rice. I have been sick for awhile now. Mostly started with diarreah. I was on antibiotics and Prilosec. I got tested for candida and its stable in the environment however I have no beneficial bacteria. My tummy grumbles and if I take a probiotic I feel drunk. Im nausea most of the time and have gas. I feel like im dying and nobobody can tell me whats wrong. Why do I feel drunk if Im not?? ?My brain in foggy and I cant keep my head off a pillow. If I take aprobiotic my leg gets heavy. If its not candida can this be SIBO If so im in too deep for only homepath I think. Please some info? I’m not a doctor so I’m really not the best person to help you. From your symptoms, it could be a huge range of things from D-lactic acidosis, to histamine sensitivity, to run of the mill food sensitivity (are you eating gluten? dairy? ), to severe leaky gut. Correcting undergrowth is more about prebiotics (vegetables) than probiotics, so maybe skip the probiotic and try eating more veggies, maybe try a digestive support supplement. But really, i think you need to find a health care provider to help here. Have you tried Paleophysiciansnetowrk.com and primaldocs.com? I think someone with functional medicine training will probably be the best help. In an earlier post, you said to go the green plantain route if not wanting to go the potato starch route to incorporate resistant starch – is that because for AI folks, we should avoid the nightshades (including white potatoes)? I guess I’m a bit confused and hoping we get more solid information/studies about the new talk recently of resistant starches decreasing intestinal permeability. Yes, that is to avoid nightshades. Green bananas are also great sources. But the data on resistant starches isn’t really very solid. I’m more a fan of insoluble fiber in general from lots of different sources (resistant starches included), for which I think the data is stronger. I definitely recommend checking out my Fiber Manifesto series. Thanks Sarah – I can’t tell you how much I appreciate your site. I’ve been slowly incorporating the basics of AIP (meaning slowly eliminating foods to avoid and incorporating the “healing” foods). It’s been a few weeks and I’m not quite sure yet, but it seems some of my Psoriasis spots are “thinning”, less scaly, but just some of the spots, not all. I guess I’ll keep at it. I will definitely read up on your Fiber series. For now, I won’t worry too much about the Resistant Starch stuff; sometimes the more I read, it’s like information overload, so I will try to stick with what I can handle and see how my body responds. 🙂 Thanks again! I have been struggling with IBS-C for 6 years (following parasitic infections and antibiotic treatment abroad) and will have been Paleo for one year in March. I continue to experience incredible water retention, rashes, swelling of the lower extremities, and eye-twitches in addition to my GI symptoms. My white blood cell count is also low. (I’m only 24, so a bone marrow biopsy was thought unnecessary.) I spent one month at the Mayo Clinic where little was concluded except that I have “chronic dyspepsia” and a GI motility disorder. A breath test came back negative, however endoscopies still show non-H. pylori ulcers in the stomach and erosive inflammation in the duodenum. I switched to the Autoimmune Protocol (combined with the Specific Carbohydrate Diet) two weeks ago. Things got much worse at first, but then much better. In the last few days, however, all my symptoms have returned in full force. (I had been eating both coconut butter and shaved unsweetened coconut, and wonder if the inulin fiber is to blame.) My doctor has finally prescribed Rifaximin + Neomycin for suspected SIBO. I already take a probiotic and fermented Cod Liver Oil, so I will continue on those while I take the antibiotics and hope for the best. My question is this: My doctor has suggested going on a prokinetic drug after antibiotics to prevent the recurrence of SIBO. I’m nervous about this and wonder if it is even necessary given my diet (AIP + SCD). Do you have any thoughts on prokinetic therapy for maintenance after the treatment of SIBO? Thank you for all your help. The work you do means so much to so many people. Do you think homeopathy is strong enough for severe SIBO/parasites? THANKS FOR THE INFO / SUPPORT. 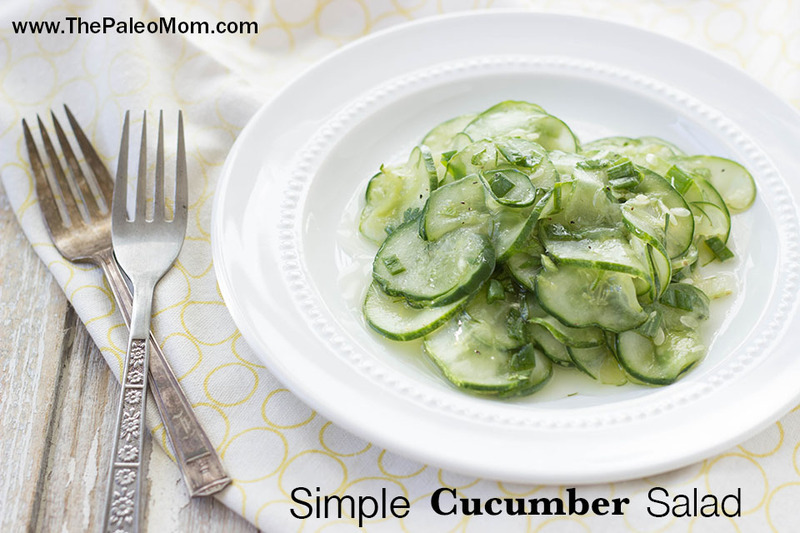 I HAVE SBS (NO I C V ) – IT GOT CUT OUT W/ APPENDIX AND SURROUNDING AREA. HAD TO GO GLUTEN FREE and recently cut out FRUCTOSE- went on the FODMAP SAFE DIET , BUT NO FRUIT AT ALL. GREAT RELIEF OF IBS PAIN. MY DIET is low fat- good fats when i do eat them. Have tried probiotics , herbal anti bacterials and so many things and the only real difference in my IBS has been the fodmap program – and am leaning more toward Paleo. I am just so happy to be out of pain and as long as I can eat something, i am happy. you should really check out Dr. Robillard with the digestivehealthinstitute for an evidenced based method of eliminating SIBO through diet… it has to do with the potential of different foods to ferment in the gut… it works. 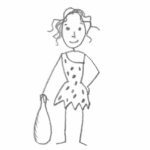 You mentioned that many people get SIBO after starting a restricted Paleo diet. Can you elaborate on that for me? I started AIP Paleo in May and June/July was diagnosed with yeast or fungus, hookworm, H Pylori and parasites, they gave me a one day compounded antibiotic for the hookworm and then heavy duty probiotics to repair the gut, GI Revive for repair also, and then a remedy for candida. I just feel like my health began tanking at that point. I am sure I have SIBO and need to find direction. I am trying to treat myself as best I can. Thanks! I’d just like to report that I’ve been consuming Dr. BG’s recommended concoction of potato starch, green powder, psyllium, soil-based probiotic and homemade kefir. It’s not bad tasting. I have also been eating starchy vegetables such as sweet potato and butternut squash daily along with a basic Paleo diet that I think is very clean. Only “bad” stuff might be dark chocolate, stevia and half & half in the coffee. Constipation is much improved to the point where I may not even be constipated. If you’re going every day, but the results don’t conform exactly to the Bristol chart, but there is zero diarrhea – what does that mean? I remember your saying if you have autoimmune disease you will always have it, the symptoms can be controlled only. So, I have low T3, high cholesterol (high HDL too), rashes that come and go. I wonder if I will just continue to heal, and how, since my symptoms aren’t acute, can I know without extensive testing? By the way, I lost 80 about 25 years ago, and have maintained it – eating horribly until the past year or so. So, I did a lot of damage. I love your blog – thanks so much. I was diagnosed yesterday with SIBO. Starting 10days of Cipro and difucian (always get bad yeast infections all over with antibiotics) . My dr said no probiotics during treatment. I also read somewhere to not do the SCD while being treated because you want the bacteria to be at their peek so the antibiotic can get to them. This is so incredibly helpful. 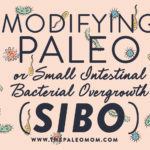 I’ve been reading articles on your blog here and there in my journey but something really “clicked” when I read about SIBO. I’ve given up gluten (99.9% at least, I know that’s not ideal but it’s my reality) but I still get a “baby bump” (bloated, hard belly that looks and feels like a pregnant belly) after eating foods like corn or rice. I was wondering if I was cross-reacting to gluten but I think it might be SIBO. I don’t have too much money to spend on alternative doctors so I’m trying to do my own research. I’d never heard of SIBO before but reading about it really strikes a chord. Thank you, thank you, thank you for doing all this work and offering us the fruit of your labor!!! I suffered with sever SIBO for 7 months before reading an article you posted, reading up about the condition and showing my doctor before finally being diagnosed. It got so bad at one point that doctors were worried about intestinal cancer and I was sent for various tests and to various different doctors to try and find a solution. Probiotics and a carb/sugar restricted diet really improved my symptoms but I did have to take antibiotics to truly become comfortable again . And after another stressful month the awful symptoms have returned but at least this time, mainly down to your blog, I sensed it straight away and can get it treated faster! Thank you so much! You have no idea how much you have helped! One word of advice for people who are following GAPS or SCD would to be very careful with all the onions and/or garlic in the beginning stages of the diet. Onions and garlic and inulin (chicory root) are similar to wheat in that they are all highly fermentable fibers in the GI tract – they are all fructans. It may be that a person can handle some onions later on once a person has done some healing, but both of these diets, as wonderful as they are, aren’t up to date with the most recent advances when it comes to highly fermentable foods, and these are the ones SIBO and/or bacteria in the gut feed upon. Onion and garlic are water soluable, so if you want the flavor of onion and garlic in your foods, sautee them in your oil of choice, and then toss the remaining part of the onion and garlic, and just use the oil for flavoring foods. Once the gut has had time to heal, a person can try adding the onion and garlic back in to see how they do in smaller amounts. Hi! I worked with a functional doctor who diagnosed me gluten intolerance, pre-celiac, pre-diabetes, and adrenal fatigue. Prior to that I was diagnosed with interstitial cystitis, vulvodynia and uterine ureaplasm. I made some progress after a year but still had chronic yeast infections, brain fog, sluggish digestion, etc. I am now seeing a naturopath who use Autonomic Response Testing (ART) to diagnose toxicity and diseases, which I’m not completely confident in since I’ve always relied on bloodwork or sample testing for diagnosis. Using this method she diagnosed me with SIBO, parasites and Candida, with no labwork. I believe the diagnosis is likely, I’m just wary of the method. I tried strict AIP for six weeks and while my digestion symptoms reduced overall, I noticed bloating after sweet potatoes (nooo! ), coconut butter and other high FODMAP items. This leads me to believe I likely have SIBO. None of my other foggy symptoms have improved. I tried the Christa Orrechio Candida Cleanse spit test and that’s been positive for months despite going on the cleanse for 4 weeks. – A second opinion on ART for diagnosis of conditions like SIBO, parasites and yeast? – Thoughts on dietary direction? I am considering Intro to GAPS and then GAPS, but as dkaj mentioned above, onions and garlic could be an issue. I’m having trouble keeping weight on even with sweet potatoes, beets and other starches and am concerned my blood sugar will tank. Also I’m confused about the yeast sensitivity with relation to fermented vegetables which I know are a cornerstone of the GAPS diet, but I don’t want to exacerbate my yeast infection. – Does your team collaborate with patient’s naturopaths as part of the service? Trying to assess all of my options. Thank you from the bottom of my heart for all you and your team do, TPM!! Right, I did the combo for a few weeks and felt marginally better, but soooo deprived at the same time. I’m having trouble cutting out the carbs and cruciferous veggies, it leaves so little left available to eat and keep my energy up. I will definitely give Anne a try, thanks so much for the advice! I feel like I am drowning in the jungle of all the specific diets. I finally got help from a functional practitioner last spring who after doing a stool test found a overgrowth of Klebsiella bacteria, serious b12 vitamin deficiency, ferritin deficiency, other low mineral levels, and said that it was likely that I had SIBO and a leaking gut. In January I was diagnosed with thyroid disease at a conventional doctor and I also suffer from vulvodynia, brain fog, fatigue etc. since many years back. I went to a dietician my doctor recommended and she made up a diet plan for me that was supposed to heal dysbiosis, together with several supplements listed to heal my gut, like glutamin-l, fiber supplements, vitamins, aloe vera gel and more. Unfortunately my stomach wouldn’t heal or calm down significantly following that diet and even though I went back to her she said that there’s nothing else we can do besides test for food sensitivities. The diet followed most schemes you can find online about healing dysbiosis and sibo, limiting fast-chain carbs, no sugar, no fruits and so on. I can’t afford any more testing, I already spent so much money on the previous tests and doctor visits. So I simply have to find a way to heal without the tests. That’s why I’ve been on an elimination diet for about 3-4 weeks now, to find out my food sensitivities. The elimination diet includes fish, carrot, quinoa, amaranth, full-grain rice, berries, olive oil and herbs. My symtoms have improved significantly on this diet but not completely. After 2 weeks I felt better than in over a year but when I had a little bit of honey I flared up and it hasn’t calmed down completely since that, but I did introduce coconut milk a couple of days later too. I’ve noticed that FODMAP-s are a problem for me, especially fructans. That’s why I don’t know how to leave out grains because I feel like there’s not enough of AIP-friendly vegetables that I can tolerate. If for example beets are causing me extreme bloating and pain because of the fructans should i leave it out altogether or try to slowly take it back in to my diet? It often takes me several days to recover. It’s so hard trying to figure this out alone and I don’t think there’s any nutritionist that I can turn to, because the one that was supposed to be the best didn’t mention anything about leaving out grains, the Paleo diet, SCD and so on. Her scheme didn’t work for me. I live in Finland, so there’s really not a lot of functional medicine practitioners, and the one I know that knows Paleo is so flooded with patients that he doesn’t take any new ones. That’s the case with almost all of the functional doctors here. 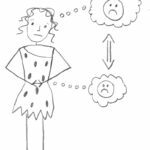 Another essential question that has hindered me from trying Paleo or SCD myself: Do you think it’s possible to heal your gut from SIBO, leaky gut and fodmap-intolerance without eating meat? I used to be vegetarian but this summer I had to start eating fish again because I couldn’t tolerate any protein rich vegetables. I just cannot stand the idea of eating meat again, we don’t even have grass-fed meats over here. We only have some organic meats that are very expensive, but not even organic poultry yet. Just the thought of eating meat again after 7 years disgusts me and I don’t know if I could do it. And it doesn’t feel ‘healing’ to eat chemically ladened, processed, factory farmed meat. I just don’t know what to do any more. I don’t know if I will be able to heal slowly eating grains, fish and some vegetables.. or if I have to make a more drastic change into AIP or SCD if I want to heal for real. This became a very long rant but I simply don’t know who to turn to anymore. Thanks for a great blog with valuable information. Don’t know what I would do without the internet! Thank you so much for your reply! I will start looking into AIP more thoroughly and see how I could start changing my diet in line with it. I was so glad to find that someone has written about the issues with FODMAP’s and AIP. I agree that it would be best to get as much variety as possible with different meats, but right now it doesn’t feel like an option but I’ll have to see how everything unfolds. Right now healing my gut feels crucial. Thanks for your advice and for a great blog. Oh, and I would like to add that the Klebsiella bacteria was treated with a specific antibiotic and also a Berberine supplement. That’s why I was expecting to feel better after it was treated, but I only did for a couple of weeks. I’m still eating Berberine though. The stool test also showed that my levels of most probiotics were pretty good but my bifido bacteria was way too low so I’ve been eating probiotics with lots of Bifido, but also lactobacillus and Saccharomyces boulardii. I’m also using digestive enzymes at every meal (Enzymedica’s digest gold). Since I’ve left out dairy there’s not really any probiotic rich foods I can eat since I don’t tolerate kale. Will try to reintroduce sauerkraut soon and I just made my first batch of fermented carrots. I also ordered water kefir grains so I will start experimenting with water kefir when they arrive. Hopefully this will help. i have a j-pouch and struggling bad for several months. Butternut squash/zuchinin squash/carrot-sweet potato are my daily diets. I ma wondering if this may be aggrevating my symtoms and inflamations? My OBGYN says I have IBS, and has diagnosed me with endometriosis. She removed my left fallopian tube and ovary to help me with the pain I was having in my abdomen on the left. But now the pain has returned. It it possible that this is SIBO and not IBS? Hi! I don’t have many of the symptoms of SIBO, but I have had blood tests showing I am deficient in various vitamins like Vit D and B12, plus my serum Ferritin levels are low. I have to take pretty heavy supplements to keep those levels up. I have been wondering why I am so deficient when I eat a healthy Paleo diet. Could I possible have SIBO even without the gas, bloating, cramps, etc? I followed the AIP diet this spring and felt good, but didn’t notice anything major when I reintroduced eggs, nightshades and dairy. I am planning on trying it again and being even more careful with my reintroductions (waiting 2 weeks in between, for example) but perhaps I should consider starting with the GAPS or other SIBO diet instead? Thanks for your insight. Have you Been tested for celiac? That causes a vitamin d deficiency and is often the root cause of sibo. You shouldn’t be losing that much iron even though you’re female. (The actual amount of blood lost in a normal period is maybe 2 to 7 teaspoons. It looks like more because you’re shedding uterine lining too, which has blood vessels all through it.) It’s actually pretty normal to *increase* ferritin as we age. So if yours is constantly low, you’ve got a slow bleed somewhere. If your doc hasn’t checked you for blood in your stool, ask about it. My brain is going to “inflammatory bowel disease or stomach ulcer” just because I’ve been reading about IBD tonight and if you’ve got an ulcer somewhere along your GI tract, that could be enough to cause the problem. Actually, while you’re at it, consider shopping for a new doctor, too. My doctor diagnosed with IBS and sent me home with a piece of paper she wrote “FODMAP” on. After years of struggling and attempting different options I was frustrated with no results with little support from my GP and it continued to get worse. Finally I decided to see a naturopath that came recommended to me. It’s been an amazing experience and am beginning to see relief. She’s worked with me and even asked me questions my doctor never bothered to asked. I was shocked and bewildered by the depth in her assessment process. The test for SIBO isn’t even available in Canada and had to be ordered from the U.S. my results came back off the charts. It’s a long process and am continuing to work through it. It’s a complete lifestyle change until it become rectified and reversed. But to now begin to see improvements in my energy, anxiety and mood levels, to now feel some relief in my bloating and constipation, it makes the process so much easier and well worth it. You can find a SIBO specific diet online. it looks much like the FODMAP but does vary and I’ve had to cut ALL grains out of my diet. But the results have been night and day. Hope this helps. For me, when I have a SIBO/iBS flare up, I cut right back on vegetables (they are very nutritious, but only when absorbed), and cut out fruit and nuts. I stick to a meat/fat diet with lots of bone broth and coconut kefir. This helps tremendously. I will have coconut kefir in the morning (probiotics on an empty stomach) then take my supplements. When I am hungry I will have a piece of salmon or some eggs cooked in coconut butter with a cup of broth, and for dinner (I usually eat 2-3 times per day without carbs causing insulin spikes) slow cooked meat in broth with a good dollop of coconut butter or ghee. Constipation sibobis typically methane sibo which requires neomycin as well as xifaxan together. I was given only xifaxan & had no results. I did my research & realized what went wrong. Foods high in fermentation potential? That would be carbs. When was the last time you saw someone make beer with butter or steak? You can preserve those things with an already ongoing fermentation process, but you can’t really ferment *them*. Actually it really annoys me the way writers of various diet books will turn around and backstab authors of similar books and approaches even though, if you take a good hard look at their prescribed methodology, it isn’t all that different. Kind of like the Paleo community taking potshots at Dr. Atkins even though you can adapt Paleo to an Atkins template. People need to be more honest about this stuff because our end goal should be to help people, not to pit them against one another in dietary one-upmanship. Thanks for the post. I always wanted to do a month of Paleo because I suspect a chronic bacterial overgrowth. But it is extremely tough to make it past 7 days. The body seems to be starved and I am losing weight too fast. I have had SIBO for many years, and after experiences only a minute improvement with the diet, I tried the medication. My test results showed some improvement, but when I was retested a few months later it was worse that ever. My doctor said she had never seen a case so bad, and didn’t have any suggestions. Have you ever heard of this occurring with anyone else, and have any suggestions? Jessica- yes, I have heard of this. A close friend of mine (I call her my autoimmune sister as we are both battling thyroid issues and have been on the same health journey)…has chronic SIBO and was told the same thing. She did 3 rounds of the antibiotic and she was worse. The integrative Dr. she sees suggested treating it with an anti-fungal (SIBO and candida have a close connection). A few rounds of anti-fungal helped her immensely. May want to look into that. Hope it helps. I am a bit confused. Are you saying you recommend combining Autoimmune Paleo with GAPS or SCD or low FODMAP or some combination? Or just doing Autoimmune Paleo on it’s own being enough? It seems like doing a combination of those would severely limit allowable foods, and just one of these diets alone is restrictive already, so I want to make sure I understand correctly. I definitely have autoimmune problems and leaky gut and SIBO doesnt seem too far fetched, but Paleo seems to really cause me severe mood instability (I am suicidal in only a few days after starting strict Paleo, no matter how many carbs I eat from squashes and dates etc.) and I don’t know why, and so I am obviously not thrilled with limiting more than is necessary while struggling that much emotionally, no matter how great it makes my guts feel. Sarah or one of Sarah’s assistants might want to update this article. This post was from 2012 and it looks like more research has been done on this topic (since this is of course a new area of research that seems to be growing rapidly). I just got done watching an interview with Chris Kresser and Steve Wright discussing this exact topic. Chris Kresser has very different things to say about this subject matter, even though it was also about yeast (but he states that this usually goes hand-in-hand with other overgrowths or infections). I found the link on Mickey Trescott’s site. http://chriskresser.com/top-4-mistakes-people-make-when-treating-candida-overgrowth. Thank you for the comment and the link. In all that I understand there is a close connection between SIBO and Candida. I really need some help! I am a 19 year old individual with Ulcerative Colitis and SIBO so I am a little confused as to which diet I should follow the Sibo or the Autoimmune Paleo diet. Because doing both at the same time restricts so much food I end up losing weight. I also have some adrenal issues (fairly low cortisol). Any suggestions? I am unable to eat anything fermented or I spend at least a week suffering and losing weight. I had some miso soup a couple days in a row and now I’m flattened. I’ve had SIBO for at least 10 years now after a severe food poisoning incident. On a Paleo diet, but lost way to much weight so added some jasmine rice to it and have gained a few lbs. It seems to agree with me fortunately. I’ve done a course of the antibiotics and for a couple of weeks was OK, but it came roaring back! Does anyone have any experience with going on the starvation liquid diet to starve them out? I don’t know if I can do that as I’m so underweight. But this is killing me. Edy, I’m with you. I’ve lost way too much weight just eating green veggies and meats. I know I have sibo and refaximin has helped before but I don’t know where to turn. Starvation liquid diet? I already think I’m starving to death because I keep losing weight no matter what I eat. I am in your camp. I did AIP for 3 months and while it helped a LITTLE, the real thing that improved me was rifaximin – twice. Ultimately my major GI symptoms got far worse on AIP. The bone broth made me very ill. I tried to just push through the bone broth but after weeks it was giving me so much acid and nausea I couldn’t see any benefit. I tried HCL which made my acid explode for days. I’m shocked this works for anyone as it made me physically ill. I really hoped this diet could help me. All it did was starve me – it is tough for me to digest vegetables and thus….. At this point, I eat a varied diet and take enzymes and probiotics and practice biofeedback breathing and meditation. I have days with no symptoms and then days with a lot of symptoms so I breathe and eat rice and pretzels which calm my stomach. It’s a drag but on AIP, SCD, Jamie Koufman’s low acid diet, Norm Robillard’s diet and FODMAPs, I had acid and gastritis symptoms all day every day. I credit the rifaximin for the improvement I’ve seen and perhaps the probioitics and definitely magnesium supplements I take each day. The problem with now is I am eating too much but it does keep my stomach settled. I am once again overweight (lost 20 lbs in 3 months on AIP, gained it back off AIP) and feel like only if I have something in my stomach all the time (eat every 2-3 hours – also the starvation/letting your stomach empty aspect of AIP made me very ill) can I keep my symptoms (upper GI distress, gastritis, acid reflux, excema, asthma) under control. My doctor was open to AIP but told me to stop after 3 months because he felt if I didn’t feel any improvement by then, it was the wrong diet for me. All of these bone broth, meat heavy diets make my gastritis symptoms horribly worse. That said, my joint inflammation was improved, my skin was much better but my stomach was just terrible. At this point, I’m eating a varied diet (but not too many fruits or veggies) taking digestive enzymes and soil probiotics. For me, after months of experimentation, this is the closest I get to relatively normal although the foods that work best for me are all forbidden in AIP (small amounts of nuts, small amounts of pretzels or crackers, beans, rice). But my skin is not so great anymore which tells me that it helped SOMETHING but my stomach couldn’t take it. Other diets tried: 6 months on FODMAPs, again tiny improvement but really nothing miraculous in any way. Norm Robillard’s diet – too much acid!. SCD – since I have trouble eating veggies, I was very hungry which gave me a ton of acid. Then I did SCD with rice (which I know breaks every rule) which actually worked pretty well – my acid went away – but I was so hungry it was pretty goofy. I’m thinking about doing the Elemental Diet to treat my SIBO. Rifaximin and herbal antibiotics haven’t worked. But I’m worried because the Elemental formulas have ingredients that are disallowed on the AIP. Vital 1.5 has maltodextrin, whey protein hydrolysate, and canola oil. Do you have any recommendations for this? Perhaps the Vital 1.5 is the better option since it doesn’t have soy? Perhaps the homemade formula is the way to go? Any suggestions for enticing my son to eat? He is 7 years old and has had abdominal pain for nearly 6 months. I am currently waiting on the breath test results for SIBO, but in the meantime I am trying to implement a low fodmap diet per his doctor. Unfortunately, this child will only eat pancakes or occasional pizza. Or McDonalds chicken nuggets (blecth). Will not touch anything else, and goodness I have tried every approach imaginable. Dinnertime = stress time, for everyone in the family. Help! Thank you for all your work, I appreciate it. Question: I believe I suffer from SIBO. I’ve been recently doing whole 30 and am noticing bloating from Potatoes, cashew, and sweet potatoes. I also have chronic constipation, which I assume is also an indicator. But to compound things, I also have histamine issues – so I struggle with probiotic foods, bone broth, vinegar, lemon, etc. So what can I do? Just a low carb/high fat diet? Anything else I should be doing? Oh, and I have developed numerous food allergies and intolerances, and it seems coconut is one of those foods, so no antimicrobial benefits there either. Any suggestions? Thank you for your help! I have the exact same issues – big issues with high histamine foods (which SIBO can make much worse, as the fermentation of carbs in SIBO releases lots of histamine), food intolerances (same as you, coconut). I have been doing a low histamine diet for a year, but because I didn’t address SIBO directly, I’ve been getting sicker. With SIBO, low carb, high fat seems to be the only logical answer. I am trying the Fast Tract diet to track carbs and it’s helped my histamine issues alot by addressing bacterial overgrowth. 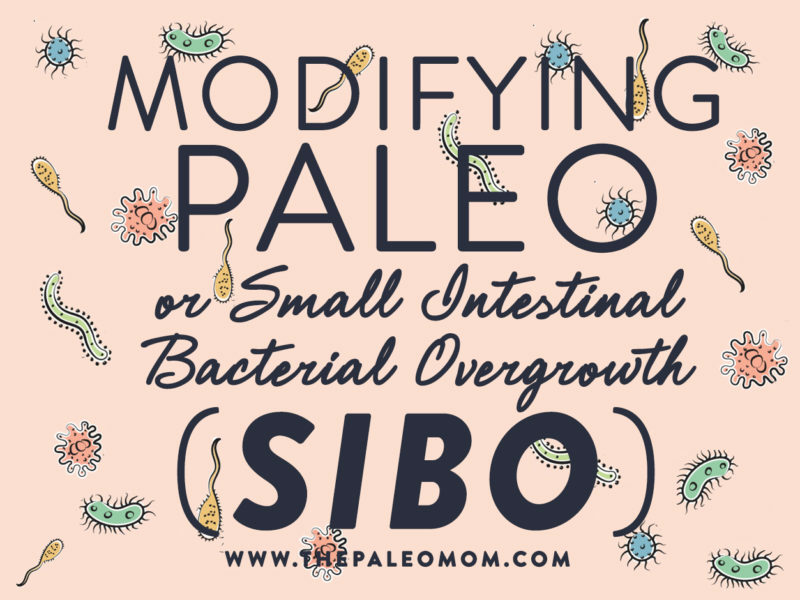 I think once sibo is under control, the histamine will come in line more too, and as the gut heals, you will be able to tolerate ferments more, and then be able to heal more. I also have psoriasis, and sibo unchecked/high histamine has been making that so much worse as well. What a mess. But I think addressing the SIBO through diet is the first order of business. After a long road, I’ve been diagnosed with SIBO, given two rounds of antibiotics and probiotics, tested again and nothing has worked. Methane levels are as high as usual. I’ve also tried gluten free, Fodmaps and all sorts of diets and nothing was worked. In the meantime Im still deficient and miserable. Any help/advise will be much appreciated. Sigh. In reading this I know that my *modified* AIP diet is not enough. I have a great Doc who says I need to remove tons of foods but refuses to tell me exactly what to eat bc he says I need to find the foods that work for me. I have already been diagnosed with Hashimoto’s disease, and have the MTHFR-c677t mutation. I also have endometriosis, PCOS, POTS, and fairly significant Candida overgrowth. I was doing great on my modified AIP (finally removed nightshades and it made a huge difference) but I ended up with pneumonia and had to take very strong antibiotics and steroids. I fell off my clean diet (not like others fall off-I started eating starches & sugars that “comply” with my diet regulations) and I’m feeling confused as to what to eat now. With all of these diseases and such I know I need a lot of diet restrictions but what do you suggest? When I eat something that is not perfect it causes such severe pain in my brain stem that it is crippling, as well as, GI issues and typical systemic Candida issues. I just keep going bc I have 2 kiddos so I’m living in the crazy condition where I would honestly prefer to never get up most days but that’s just not an option. Do I need to adhere to the complete AIP if my Hashis is in remission but my gut lining is permeable and Candida and endometriosis are out of control? I take Nature-Throid which works wonders for my Hashis. This information is outdated. Yams score a green light on the Monash university SIBO app so you can eat them with SIBO! Do you think you can solve dyspepsie and other digestives problems (slow stomach, heartburn) etc without a GAPS diet? And would you recomend Paleo or aip? There are many ways to resolve dyspepsia without GAPS. In fact, Sarah does not recommend the GAPS Diet due to lack of rigorous scientific support for the protocol. Sarah writes about the power of bone broth for digestive problems here: https://www.thePaleomom.com/broth-hidden-dangers-in-a-healing-food/. There are many other tips and tricks found throughout the blog and podcast. 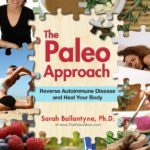 As far as starting a Paleo diet goes, Sarah recommends people with autoimmune disorders to start with the AIP and reintroduce foods over time to tolerance. If you are not experiencing any autoimmune conditions, starting with a strict Paleo diet is great. If you continue to have issues with digestion, Sarah has some thoughts that might apply here: https://www.thePaleomom.com/stomach-acid-connection/. hi, I have SIBO and am currently trying to heal my gut lining (by taking L-glutamine, avoiding sensitive foods via the AIP diet, etc), and take antibiotics for the SIBO. I’m wondering if it’s okay to eat some of these starchy vegetables SIBO people are supposed (I love sweet potatoes) to avoid if at the same time I’m taking taking these other steps to eliminate the SIBO. In other words, would the SIBO antibiotics still kill off the bad bacteria even if I occasionally eat some foods that feed them?